The CCPA–BC has been debunking the economic arguments for the Trans Mountain Pipeline Expansion (TMX) proposal for years, and taking a critical look at the reasons for its approval despite the economic and environmental realities. Though the Corporate Mapping Project and with our friends at the Alberta-based Parkland Institute, we’ve also examined the all-too-cozy relationship between governments and the the fossil fuel industry, and published several reports on the larger implications of continued expansion of oil sands production. We share some of that work on this page. Like it or not, we need to plan for a major transition over the coming decades from our reliance on fossil fuels to renewable energy. We are told that any effort to curb oil and gas production will have disastrous effects—but returns to Canadians from royalties on oil and gas have plummeted, while extraction and combustion of fossil fuels continue to have major environmental impacts. The feds may be on the hook for an additional $12 billion in fossil fuel infrastructure at precisely the moment we need to make a decisive shift to a cleaner economy. 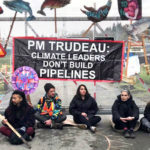 Hadrian Mertins-Kirkwood explains why the federal government’s decision to purchase the existing Trans Mountain pipeline and the pipeline expansion project from Kinder Morgan for $4.5 billion is politically risky, economically perilous and impossible to justify on environmental grounds. David Hughes examines the claims being used to justify the federal government’s expenditure of up to $12 billion to purchase the Trans Mountain expansion (TMX) project—namely that the purchase will create thousands of jobs, and that delays in the project are costing Canada $15 billion per year—and finds them to be flimsy at best. Marc Lee takes a closer look at TMX’s full range of benefits and costs, and shows the project to be extremely lopsided in its distribution. His analysis demonstrates that federal and Alberta governments’ insistence that the TMX project is in the “national interest” ignores the fact that BC would be making all of the sacrifices, and studiously ignores the consequences of increasing carbon emissions. What’s Kinder Morgan’s real end game? Seth Klein offers a different take on Kinder Morgan’s ultimatum and the so-called “constitutional crisis” it has sparked: It is entirely possible that Kinder Morgan has already decided to cut its losses and walk away from the Trans Mountain Pipeline Expansion (TMX)—and not for the reasons they are telling their shareholders or the public. Ian Hussey, a political economist with the Alberta-based Parkland Institute, wrote to BC’s Coast Protectors to share his take on Kinder Morgan’s pipeline expansion proposal, highlight the substantial number of Albertans who are are lukewarm to the project or oppose it altogether, and share his hopes for a just transition. 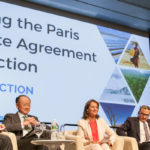 Marc Lee debunks two prominent arguments that have been advanced for the continuation of business-as-usual for the fossil fuel industry in BC and Alberta. The first, in support of Kinder Morgan’s Trans Mountain Pipeline Expansion, is that Alberta’s buy-in to climate action is dependent on new pipelines being built, and undoing that compromise would unravel the fragile Pan-Canadian Framework (the federal-provincial climate agreement made in November 2016). 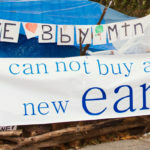 At the core of the current battle between the governments of Alberta and BC is the assertion by Premier Notley and Prime Minister Trudeau that the economic benefits of the Trans Mountain Expansion Project are sufficient to justify the increased risk of environmentally disastrous spills and the additional contribution to climate change. The problem is that no TMX proponents have actually put forward credible and current evidence that this is the case. Kinder Morgan’s pipeline sales pitch: Too good to be true? The economic case often touted for the Trans Mountain Pipeline Expansion was commissioned by Kinder Morgan, and uses flawed approach. Simply put, the assumptions made at every stage of their calculation are dubious, leading to exaggerated numbers that are simply too good to be true. 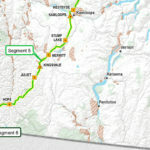 When determining whether or not the pipeline expansion from Edmonton to Burnaby will proceed, a major consideration should be that approval for the project was based on a number of faulty assumptions. The Fraser Institute’s report, The Costs of Pipeline Obstructionism, claims that lack of new export pipelines to tidewater is costing Canada $2.02–$6.4 billion dollars per year (depending on the assumed oil price). But the report is based on flawed analysis, and should not be taken seriously in deliberations on the need for new export pipelines to tidewater or in the development of Canada’s climate plan to meet its Paris Agreement commitments. Shannon Daub and Mike Lang added up the lobbying efforts of Kinder Morgan and its subsidiary Trans Mountain, and found a whopping 826 BC and federal lobbying contacts over six years, up until Fall 2016. This amounts to about one contact every two business days during that period (not to mention those in Alberta that we do not have information about). Nicolas Graham, Shannon Daub and Bill Carroll tallied up all political donations by fossil fuel companies (including Kinder Morgan) and industry organizations to the BC Liberal Party and the New Democratic Party of BC (the two leading parties) between 2008 and 2015. Over this period, 48 fossil fuel companies and industry groups donated a whopping $5.2 million. 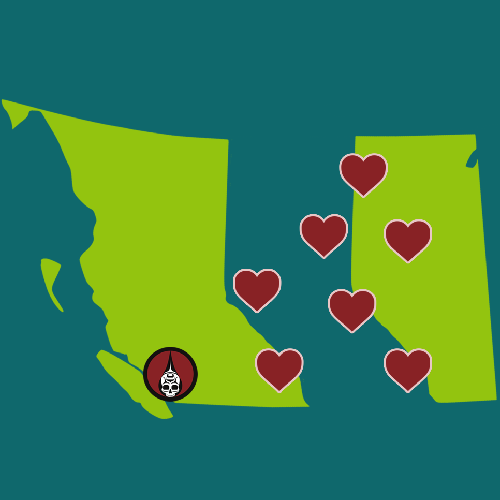 These contributions dovetail with trends in lobbying and access to key political decision makers—painting a deeply troubling picture of the state of democracy in BC. Marc Lee looked at the emissions implications of three pipelines proposals at the time of his writing (April 2016): Enbridge’s Northern Gateway, Kinder Morgan’s Trans Mountain expansion and TransCanada’s Energy East. Shannon Daub and Seth Klein describe a new form of climate denialism, in which the fossil fuel industry and our political leaders assure us that they understand and accept the scientific warnings about climate change — but are in denial about what this scientific reality means for policy and/or continue to block progress in less visible ways. In August 2016, CCPA–BC Director Seth Klein presented to the federal Ministerial Panel holding consultations on the Kinder Morgan Trans Mountain Pipeline Expansion Proposal. 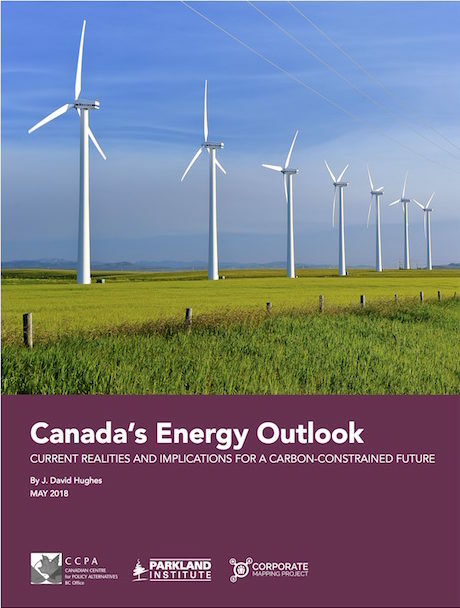 This study serves as a definitive guide to Canada’s current energy realities and their implications for a sustainable future. It takes a detailed look at Canadian energy consumption, renewable and non-renewable energy supply, the state of Canada’s resources and revenues, and what it all means for emissions-reduction planning. Canadians need a viable and sustainable long-term energy strategy, based on availability, scalability, cost, environmental impacts and alternatives of all energy options. Under the Paris Agreement, Canada has pledged to reduce its greenhouse gas emissions to 30% below 2005 levels by 2030. This study assesses the consequences of several scenarios of expansion in the oil and gas sector in terms of the amount that the non–oil and gas sectors of the economy would need to reduce emissions to meet Canada’s Paris commitments. 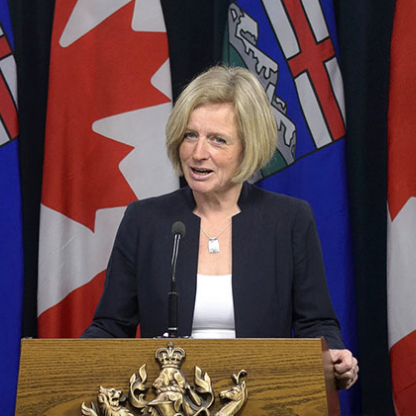 It finds Canada cannot meet its global climate commitments while at the same time ramping up oil and gas extraction and building new export pipelines. Will the Trans Mountain Pipeline and Tidewater Access Boost Prices and Save Canada’s Oil Industry? One of the primary rationales for Kinder Morgan’s Trans Mountain pipeline expansion project is to maximize the price for Alberta bitumen by getting oil from Alberta to “tidewater”. Tidewater refers to ocean access in order to ship oil to overseas markets via tankers. Industry and the federal and Alberta governments argue that a pipeline to tidewater will unlock new markets where Canadian oil can command a better price than in the US, where the majority of Canadian oil is currently exported. This paper examines the tidewater argument and other problematic assumptions that led to the pipeline’s approval. 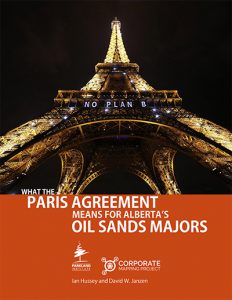 This report evaluates what the Paris Agreement on climate change means for oil sands producers, estimating the social cost of carbon (SCC) of the oil and gas reserves of these firms. 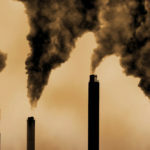 It finds that fossil fuel companies are significantly overvalued by financial markets because their carbon liabilities have not been taken into account. When we account for the full cost of carbon, Alberta’s oil sands industry looks like a carbon bubble that could pop sooner rather than later. Under Alberta’s oil sands emissions cap (set at 100 million tonnes per year), growth in oil sands production would be limited to 45% over 2014 levels. 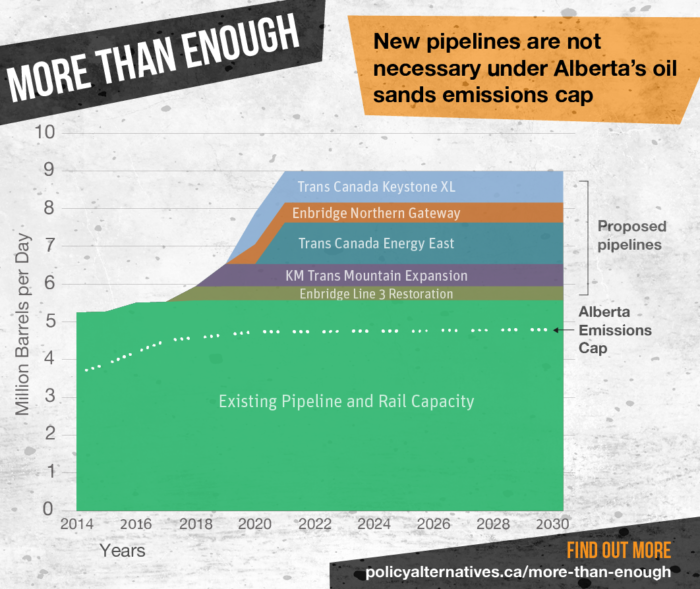 There is already more than enough existing pipeline and rail capacity to handle that capacity. The additional pipelines being lobbied for by industry and governments are not necessary. Pipeline proponents tend to overstate the jobs that would be produced by such projects. 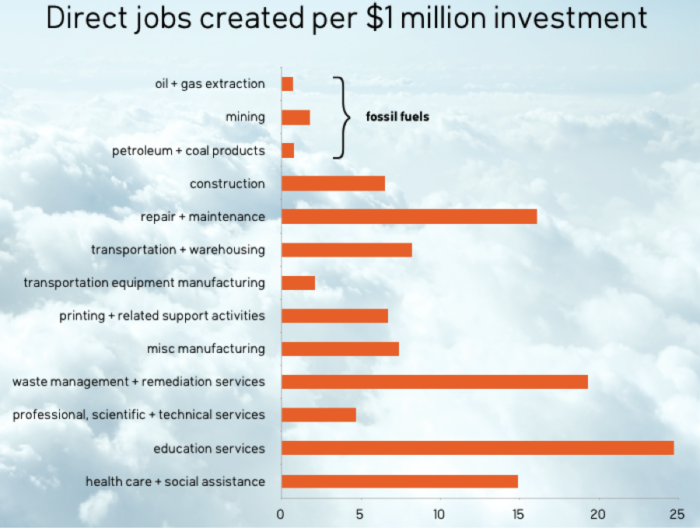 When we look at how many jobs are produced for each million dollars of investment in the fossil fuel sector compared to other sectors, it’s clear that the fossil fuel sector scores very poorly compared to many alternatives.